CHICAGO, January 22, 2019 – Workstorm, provider of enterprise-grade workplace collaboration technology, today announced expanded platform functionalities that align with the company’s vision for unparalleled connectedness of a single collaboration and communication platform for the legal and professional services industries. Demonstration of Workstorm’s expanded functionality, including calendar integrations, will take place during LegalCIO and Legaltech, two conferences on January 29-31 that are part of Legalweek in New York. As a part of LegalCIO, the vice president of legal technology for Workstorm, Michele C.S. Lange, is scheduled to lead a visionary discussion on client collaboration for the session entitled “The Future of Legal Services: Staying Competitive and Collaborative Amidst Growing Client Pressures” on January 29, 10:30-11:30 a.m., at the New York Hilton Midtown. As an event sponsor, Workstorm will showcase the latest features of its comprehensive legal collaboration platform throughout Legalweek. Incorporating the latest enhancements, the Workstorm platform features calendaring, email, messaging, videoconferencing, file sharing and document management systems (DMS) integrations, all within a secure, single sign-on, one-click environment. The new calendar integration functionality allows users to create, access and view calendars directly from within Workstorm, send or receive meeting invitations through email or messaging and seamlessly schedule and launch Workstorm’s videoconferencing system. With this release, Workstorm takes another step toward equipping legal teams with a single platform necessary to increase efficiency, while solving case docketing and tracking challenges. The panel session moderated by Lange focuses on adapting and developing CIO strategies to stay ahead of the curve in client collaboration based on leading trends and technologies in the industry. Panelists include David Cambria, global director of legal operations, Baker McKenzie; Joan Holman, CIO, Clark Hill; Scott Rechtschaffen, CKO, Littler Mendelson P.C. ; Kermit Wallace, CIO, Day Pitney LLP; and Andrea Markstrom, CIO, Blank Rome LLP. 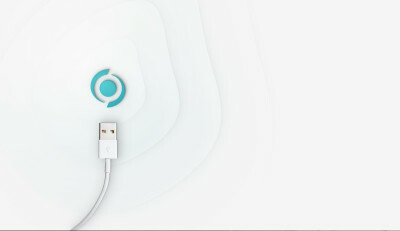 The Workstorm collaboration platform is designed to meet the unique needs of law firms, corporate legal departments and professional services organizations. 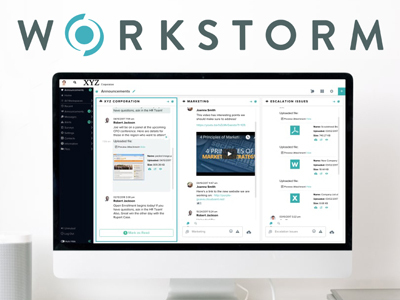 With email, calendar, messaging, videoconferencing, document management systems and more all in one place, Workstorm provides the tools and systems necessary for brilliant minds and busy professionals to focus on what’s important.